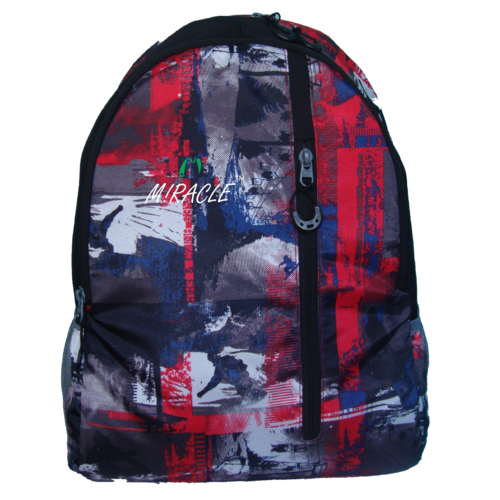 We, Miracle Bags from 1990 are prominent manufacturers, wholesalers, and retailers of high-quality School, Duffel, Backpack Bags, and much more. Offered products range consists of School Bag, Duffel Bag, and Designer Sling Bag. Recognized for their long service life, optimum finishing, simple design, and high efficiency, these products are made available in several size and design. We are offering these products in customized options also as per the detailed requirements of our clients. Apart from this, all our offered school and duffel bag are quality assured against the industry set parameters to ensure their quality. Our state-of-the-art infrastructure unit is loaded with contemporary technology and machines. This helps us to cater the bulk requirements of our prestigious patrons. Together with this, we have a team of talented professionals which work dedicatedly to provide our patrons a quality approved product range which is in compliance with the client’s given specifications.